My itty bitty girl is now E I G H T months old [nine on the 24th of this month] & today I'm sharing all about month S E V E N! Friends, I am in major denial that in just four short months, my baby will be ONE!! Seven months was so much fun & it just keeps getting even more fun. Y'all, the girl is into everything! And wasted NO time at all learning how to pull up! She continues to be a dream at nursing! And often does "yoga" while feeding. HA! Just like Cooper & Millie Jo, Ellie Joy has the silliest personality. She's so silly & knows it already! She LOVES bath time & water period. I'm obsessed with her big blue eyes & her long lashes! I was really hoping that six month sleep regression would pass … but here we are almost nine months old & she STILL won't sleep at night. Sigh. 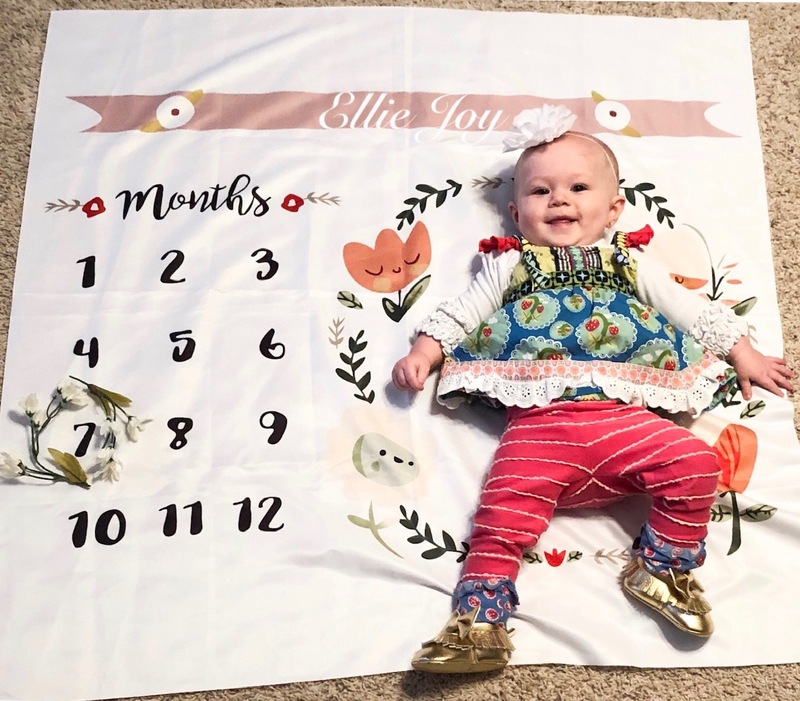 Seven months was a sweet one, that's for sure! And she can sign "more"
She is so sweet, I can't believe she is 7 months. What a sweet blessing she is!